The Small Business Development Center (SBDC) has moved from Central Virginia Community College (CVCC) to its new host organization, the Lynchburg Regional Business Alliance. The SBDC-Lynchburg Region is one of 29 centers in the Virginia SBDC network and serves the city of Lynchburg and Amherst, Appomattox, Bedford and Campbell counties. It is a free, confidential business advising service, offering access to programs such as the Innovation Commercialization Assistance Program, SmallBizU and many more. The popular Lunch to Learn series will return in October. Stephanie Keener has been named Director. Keener worked as Program Specialist for the past four years with the SBDC at CVCC. “I’m excited to be working with the Alliance. I think that this move strengthens our region’s commitment to small business support,” said Keener. The Virginia Economic Development Partnership (VEDP) has accepted Innerspec Technologies, Inc. into its two-year Virginia Leaders in Export Trade (VALET) program. The VALET program assists companies in the Commonwealth that are committed to international exporting as a growth strategy. To participate, each business must meet both quantitative and qualitative selection criteria. Participating firms are chosen based on their dedication to growing export sales. To date, 316 Virginia companies have been accepted to participate in the VALET program. Currently, the program has 49 companies as participants. In a unanimous decision, the Lynchburg Regional Business Alliance Board of Directors has endorsed “Downtown 2040,” the Downtown Lynchburg Master Plan. The city unveiled the plan in August. After reviewing the document and consulting with downtown business owners, the board approved their endorsement and encouraged city council to approve the plan. 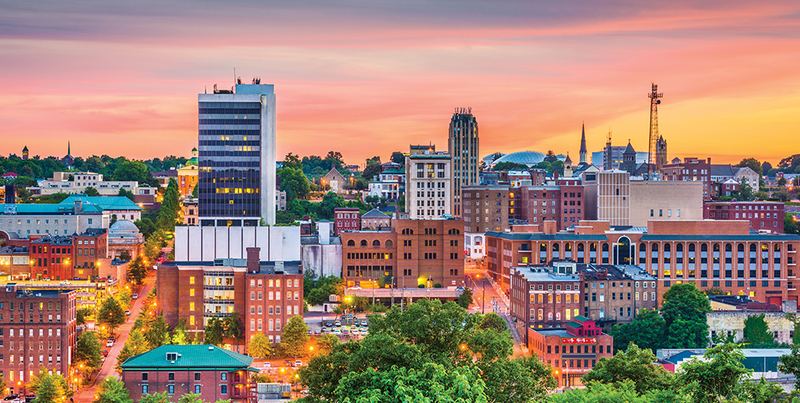 “The development of Downtown Lynchburg is key for future growth, business development, and new ideas. We are all eager to participate in our region’s ongoing transformational success,” said Board Chair Stefanie Prokity. 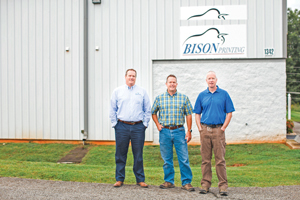 Bison Printing will invest more than $650,000 to expand its facility, adding new equipment and 10 full-time jobs. In October, the company will break ground on a 10,000-square-foot addition at its 42,000-square-foot facility. The company has already begun ramping up its production capacity and hired five full-time employees, with plans to hire at least two additional employees by the end of 2018 and several more over the next two years. The Bedford County Economic Development Authority will assist the company under a defined performance agreement that pays a cash grant up front to assist the company with upgrading its sprinkler system in return for the real estate addition it is making in Bedford. Over the next three years, the EDA will review the company’s progress and provide an additional incentive once the jobs and investment commitments are met. Bison is an employee-owned company that has been in Bedford since 1978 and currently employs more than 50 people. Company officials say Composable Systems is unique in its delivery of business value and Digital Transformation through custom application development and application management. CloudFit Software also has acquired Blockspace, LLC, a software company specializing in connectivity, data and scale for Internet of Things devices. 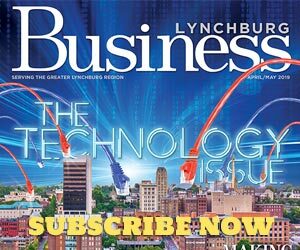 Earlier this year, CloudFit Software opened its Command and Development Center at the Lynchburg Regional Business Alliance building on Lucado Place. Governor Ralph Northam has selected two men from Central Virginia to serve in roles with his administration. Northam appointed Lynchburg City Councilman Turner Perrow to the Virginia Geographic Information Network Advisory Board. Turner works at the engineering firm, Woodard & Curran. Gary Tanner, of Appomattox, will serve on the State Emergency Medical Services Advisory Board by representing the Virginia Association of Counties. Tanner works for BWX Technologies. 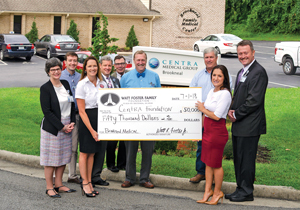 The Watt Foster Family Foundation has pledged $250,000 to the Centra Foundation to help fight the battle against diabetes and obesity in Campbell County. The five-year commitment of $50,000 per year will start a health, wellness and nutrition program at Centra Medical Group – Brookneal. This gift marks the start of an initiative by Centra Health to focus on this serious disease in rural communities. With diabetes being prevalent in the Brookneal area, access to this program will benefit families throughout the local community. “This money will be used to benefit patient care in numerous ways. Our office has already come up with plans to use this money over the next five years,” says Dr. William Jones, a physician at Centra Medical Group – Brookneal. Read more about Foster Fuels’ international impact with its Mission Critical Division on pages 45-47. 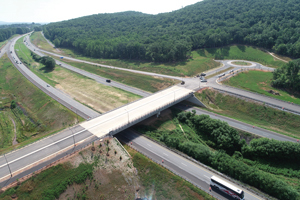 The City of Lynchburg and the Virginia Department of Transportation are celebrating the completion of Phase One of the Odd Fellows Road Interchange Project. On July 30, they held a ribbon cutting ceremony to commemorate the milestone. The interchange at Odd Fellows Road/U.S. 460 will improve access to the nearby industrial park and make it more appealing to potential companies. The exit will also alleviate congestion on Candlers Mountain Road. Phase Two of the project will include improvements on Odd Fellows Road from Mayflower Drive to the Lynchburg Expressway. Wagman, Inc., based in York, Pennsylvania, is designing and building the project. Vector Space has renovated the previously vacant second floor of its building to accommodate more technology and lab space. The nonprofit’s 4,000-square-foot addition houses a computer and electronics lab, textiles area, classroom, and rapid prototyping tools. Renovations included a new HVAC system, ceiling insulation, floor refinishing, drywall, painting, adding a fire escape, rebuilding the stairs, and adding a bathroom. 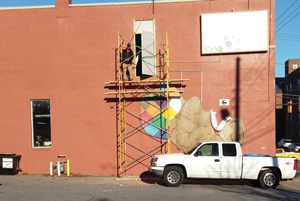 “The refinished upstairs space has allowed us to expand our workshop downstairs as well, making room for new sheet metal and blacksmithing tools,” said Executive Director Elise Spontarelli. Major donors to the $40,000 expansion include the Al Stroobants Foundation, Cognizant, James T. Davis, and Joyner Engineers and Trainers. The newly founded Central Virginia Sports has launched phase one of their business, CentralVASports.com. The company’s mission is to engage community partnerships through outstanding service while driving sports business to the region. The website is designed to be a hub for all Central Virginia sport-related resources for businesses, athletes, and fans. Carter and Billy Russo founded Central Virginia Sports in March 2018.